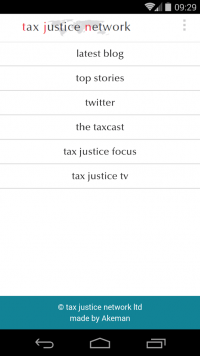 We are delighted to report that the tax justice network now has its own app, for the Android system. It is free, simple, and packed with all the latest news, views and analysis from around the world. You can find it by searching the Google Play store, or download it here. An Apple iOS version will be available shortly. Find it any time on the top right of our home page.